A flop when originally issued in 1970, Rodriguez's debut-- a patchwork of folk, psychedelic rock, and pop production, built around a workman-like voice and simple melodies-- found an unexpected audience in the Southern Hemisphere, due to its blunt urban commentary and unique sound. The hardest thing about telling the story of Sixto Rodriguez is deciding whether to start in Mexico, South Africa, Australia, or Detroit. He was born in Detroit to Mexican immigrant parents and spent his entire musical career there in the 1960s and early 70s. Rodriguez made two albums of socially conscious rock, which flopped, in part because his label, Sussex, was distributed by Buddah Records, an AM radio powerhouse that had little access to the adventurous FM spectrum for which Rodriguez's music was better suited. Though he was shut out from his audience at home, a curious thing happened in the Southern Hemisphere. The blunt urban commentary and the unique sound of his debut, Cold Fact, struck a chord in Australia and New Zealand, to the degree that in 1979 and 1980, Rodriguez, who had built himself as a musician playing dives, gay bars, strip clubs, and other out-of-the-way corners of Detroit, was able to mount a theater tour in Australia. The real surprise, though, was lying thousands of miles across the Indian Ocean, in South Africa, where Cold Fact became a counterculture hit and was accepted as a rock classic. It sold about 60,000 copies during the Apartheid era (very good numbers for South Africa) and was bootlegged many more times than that. So how did that happen? Well, the reasons are all audible on the record-- for one, there's the aforementioned uniqueness of its sound. The album is a patchwork of folk, psychedelic rock, and pop production, built around a workman-like voice and simple melodies. Co-producers Mike Theodore and Dennis Coffey were Detroit veterans who worked with Harry Balk's Impact label, and later Motown after it gobbled up Impact (Coffey played the iconic wah guitar part on the Temptations' "Cloud Nine"). They'd chosen to work with Rodriguez for the simple reason that they liked his music, and they brought their considerable arranging and playing skills to bear on Rodriguez's ultra-basic guitar/voice compositions. The career of Sixto Rodriguez has until now amounted to somewhat less than a scrawled footnote in musical history. The son of Mexican immigrants, his debut album, Cold Fact, was released in 1970 to a barely perceptible shrug. The follow up, Coming From Reality, raised even less heat and - in the over-excited parlance beloved of the music industry - Rodriguez promptly 'disappeared'. He didn't, of course. He just moved on to other things: teaching, local politics, labouring. But as Rodriguez got on with his life, Cold Fact slowly developed a life of its own, picking up a word-of-mouth audience in the southern hemisphere, particularly in South Africa, where its counter-cultural leanings seemed to articulate the mood of rebellious disenchantment filtering through the country in the 1980s. When Rodriguez was finally tracked down and persuaded to tour South Africa in 1998, he played to 5,000 people a night. Despite that, and the fact that the mesmerising bad-trip blues of 'Sugar Man' was discovered and remixed by David Holmes in 2002, it has taken until now for Cold Fact to finally become available on CD. So just what have we missed? Well, Cold Fact isn't quite a lost masterpiece, but there are moments where you wonder how on earth Rodriguez managed to escape wider recognition for so long: 'Crucify Your Mind', 'Forget It' and 'I Wonder', in particular, nag away like half-remembered classics. His voice has the nervy, accusatory edge of mid-Sixties Dylan, while the music resembles a funky John Wesley Harding: tight little songs built on acoustic guitar, light drums and bass, occasionally overlaid with strings or psychedelic flourishes. Lyrically, Cold Fact is a litany of late-Sixties social woes interspersed with vignettes about the difficulty of 'connecting' with people, all filtered through the prism of inner-city Detroit. Despite the surface beauty of the songs it's a jittery record, half in love with the times of its creation and half in fear - 'Gomorrah (A Nursery Rhyme)' is as darkly spacey as anything Love ever did. 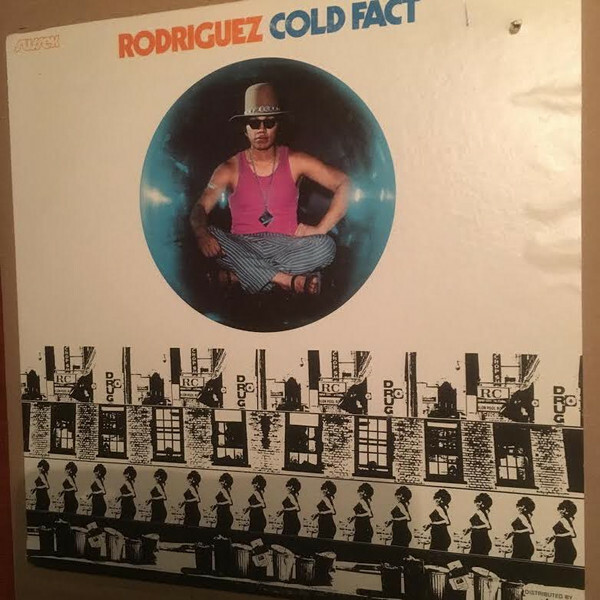 Rodriguez is clearly a writer with a singular vision, and although it's impossible to rewind the clock 40 years and award iconic status retrospectively, Cold Fact is a mighty fine record that deserves the acclaim, bewilderingly, it was denied first time around.